I hunted all day in the cold teen temperatures and wind. I mean all the day with no breaks for lunch or getting warm. I pushed in the morning hours for my step-father, Bob. I saw a lot of deer. 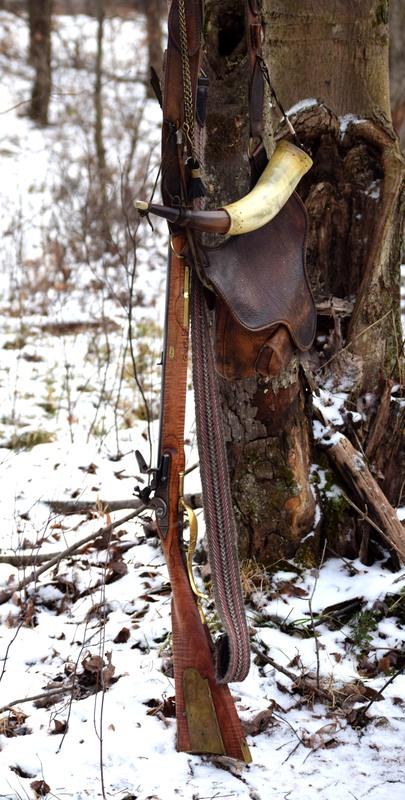 Old Jacob my fifty caliber flintlock. 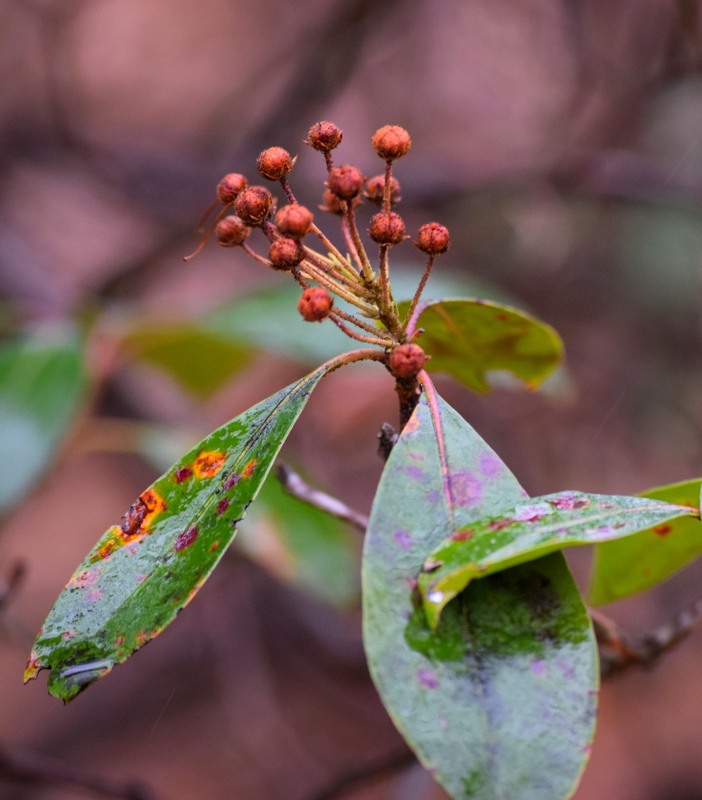 crunchy due to single digit temperatures and not enough snow to insulate the leaves and ground. I crawled on my knees and occasionally scratched at the leaves. I made the distance to about ninety yards before the deer began standing. they weren’t overly alarmed hence the slow walk over the hill. Bob saw the eight deer, but the distance was too long for a shot. I saw two does moving along and I waited. later, once I realized they weren’t going to come my way I tried a stalk. I saw the one doe at about fifty yards and raised the flintlock and decided to not shoot since everything wasn’t focusing well. I almost went home around 1:00, but that urge to hunt pushed me along. Good thing that urge did for I was still seeing deer. I watched a doe go downslope behind a fallen wild cherry tree. The doe saw me but stopped anyway. I watched for a bit and lost the deer visual. I eased downslope when I saw the deer farther down the hill. This doe worked along and began a slow feed towards me, but very slow. 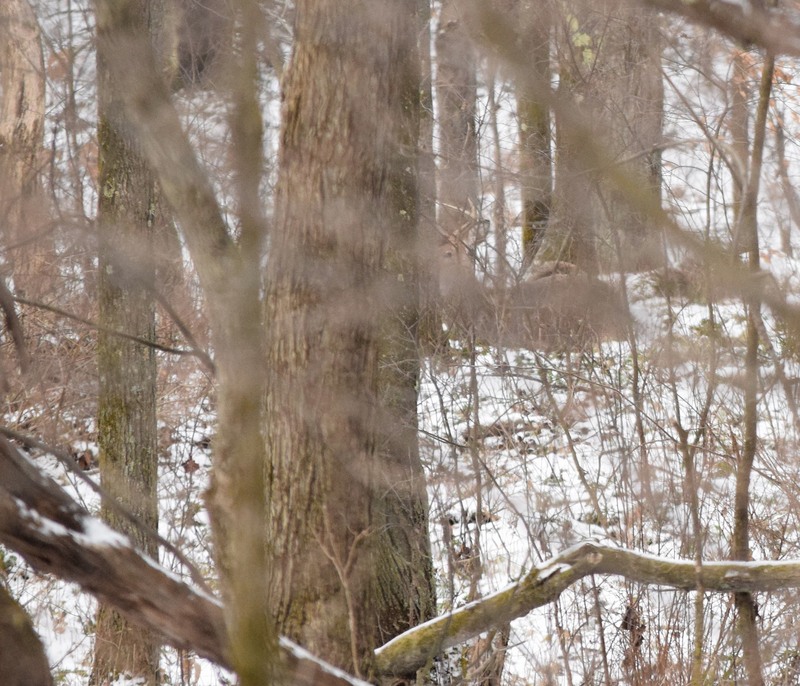 As I watched and waited a legal buck walked past her at about fifty yards. The rack appeared to be about 16 inches across. The right antler had the three points up making it legal. 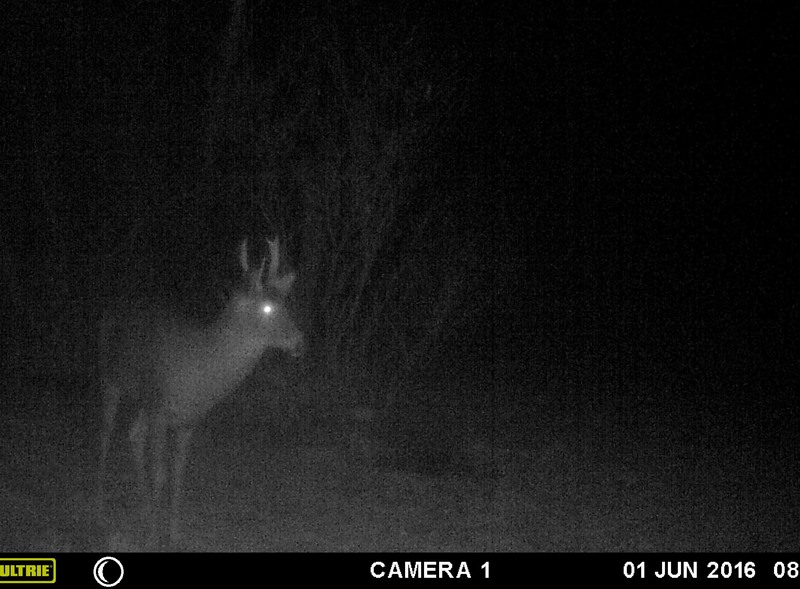 The buck walked behind the down cherry tree as well. Later, Two more doe showed up with him. There must be good food supply for they fed for a long time. 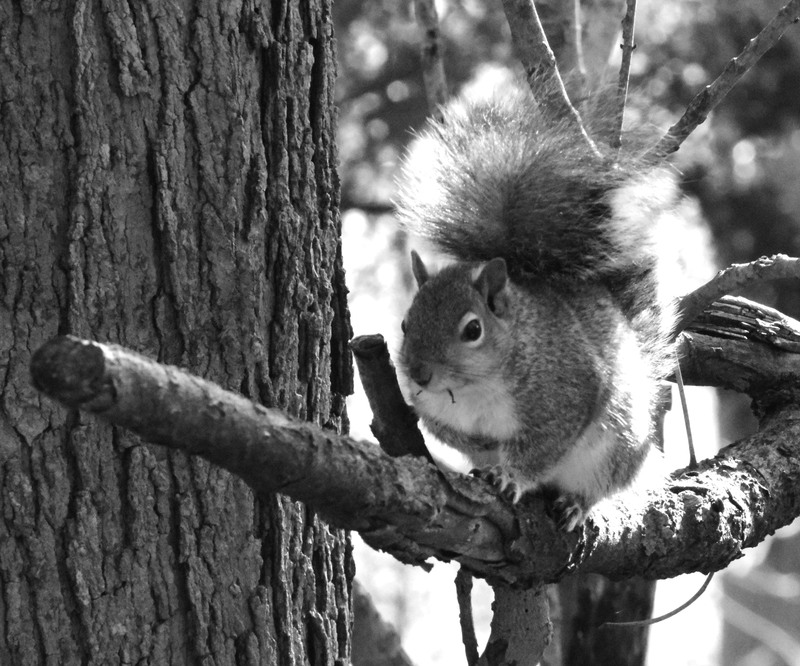 I was behind a tree for over two hours often shivering. The buck walked below me again and bedded down. The doe below me appeared close. I elected to wait to about thirty-five yards before shooting. 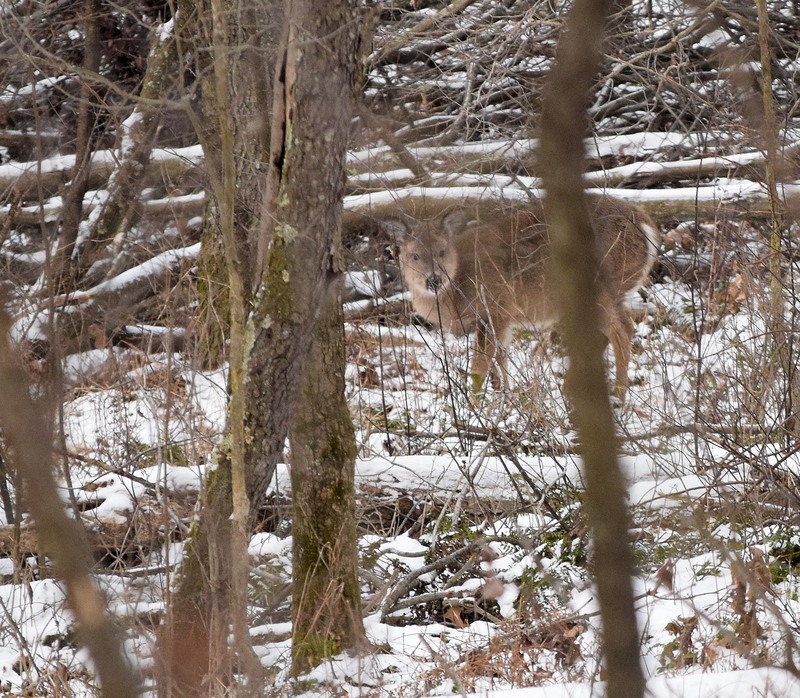 Upon shooting the doe flinched and walked a short distance and stopped. I couldn’t see a hit, but I knew the shot connected. The doe laid down. Amazingly, the buck remained and the other two deer continued eating. After a wait I began approaching the doe I had shot. She jumped up and went a short distance. The next shot finished it. The time was 3:50 P.M. The day after Christmas has always been special for me. 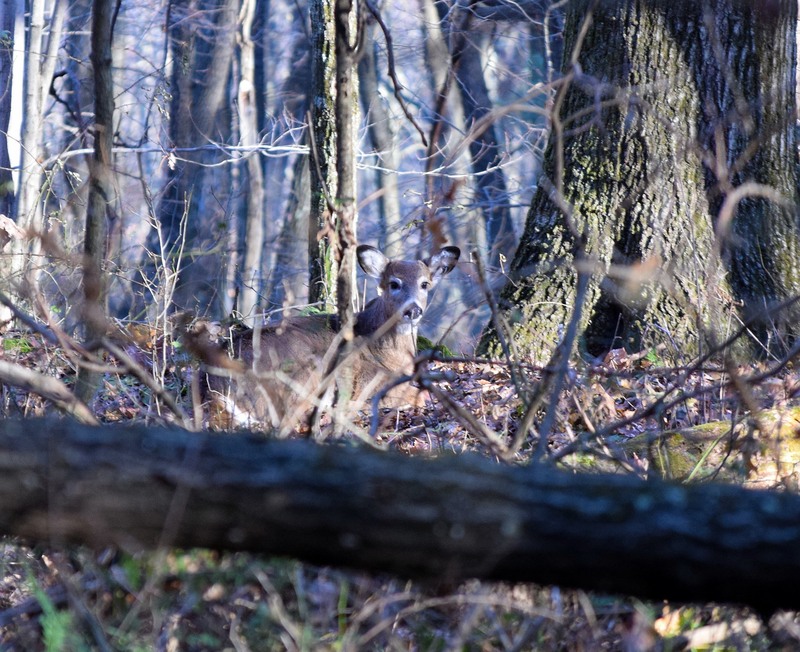 The Pennsylvania primitive deer hunting season begins. I am a history lover especially of the French and Indian War and the War of Independence. That being said the lure of the flintlock has been an influence with me since my youth. The weather for this first day was very cold and windy. Snow had arrived for Christmas although we received only about one and half inches. The woods were noisy and sneaking around was not easy. I spent half a day on this first day of the season. (December 26) I needed to quit around noon to get ready to visit my in-laws for our Christmas get together. This day I was a pusher of deer for my step-father, Bob Miller. He would miss a deer during one of the drives. I saw eighteen deer during those hours with three deer very close. However, as what often happens, bolted just prior to shoot. Once the eyes make contact deer often react quickly. I saw a grouse this day which is something I hadn’t seen in these woods in quite some time. I would see the grouse again on the 27th. Experimenting with my flintlock sights found much discouragement. Around 7:30, I raised the rifle only to see nothing. In this lowlight condition my sights appeared very fuzzy and I couldn’t discern the front sight at all until conditions brightened greatly at around 8:30. I even use my old glasses for this problem improves with them. Nighttime vision is worse with car lights and reflective things looking like stars. This has been an issue for me. In fact I have been to eye doctor for tests several times since summer. The second morning found me at a local game lands around 7:30 A.M. My plan was to sneak around seeking a deer in the brushy areas. 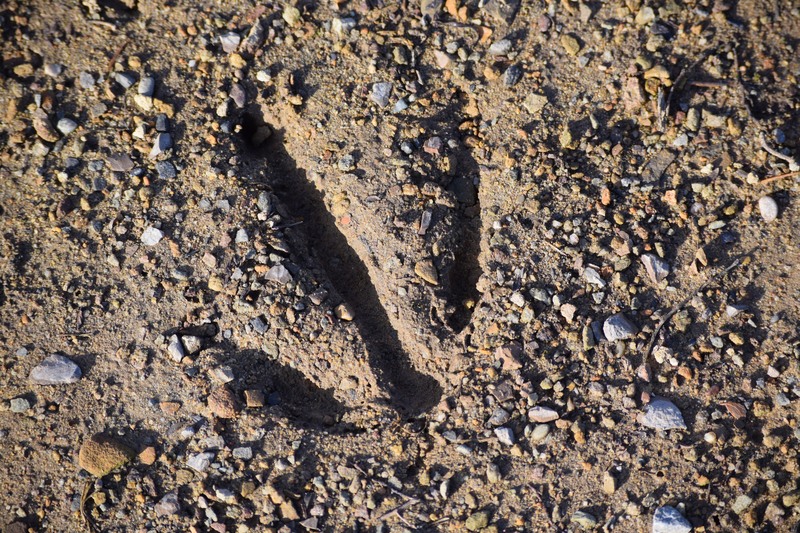 However, I realized that the day before had seen many hunters since tracks were everywhere. 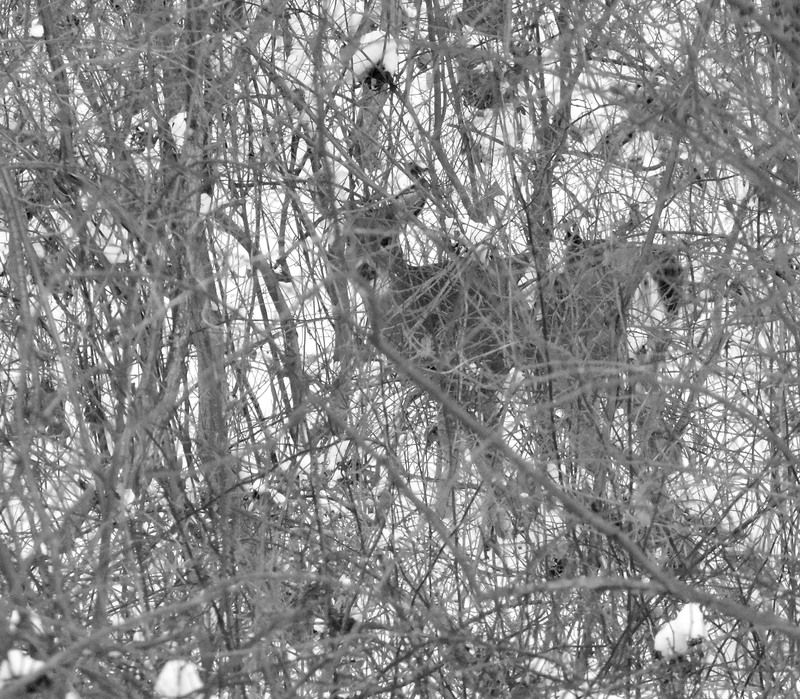 Around 9:30 I spotted a deer among grapevines and briars. I raised the flintlock but wasn’t sure of the gender enough to shoot. 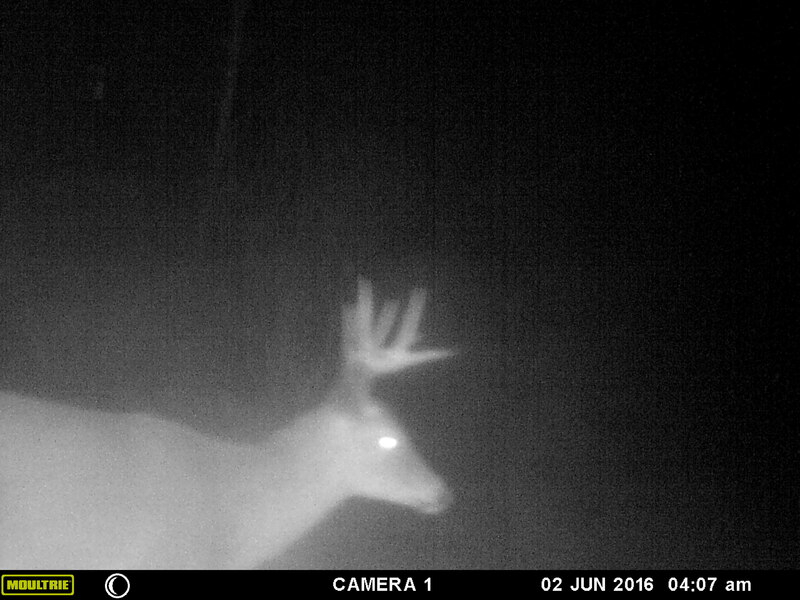 I looked through my field glasses and could see a bald deer. I raised the flintlock again before lowering it. I raised the third time and shot and missed. The forty plus shot had failed. Off and on I would raise this rifle in varying conditions in attempts to learn how to reshoot and align the sights. I am seeing shiny “ghost images” of the sight as if I am seeing two sights. Anyone out there experiencing such issues? Anyone have any thoughts? I am wondering about widening the V-cut in an attempt to make the front sight more visible. I left this area and went to a favored area to hunt. I spent the day until three o’clock. 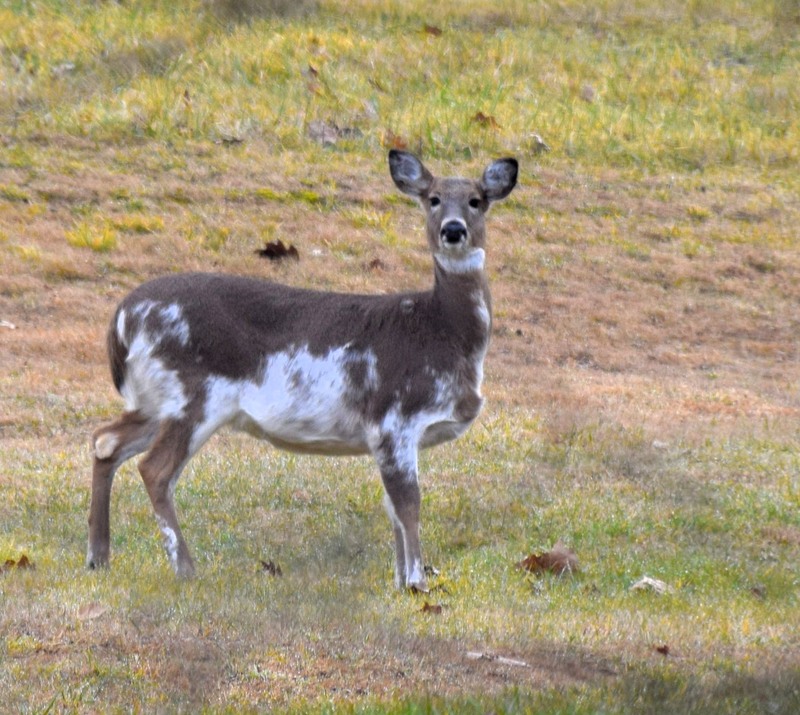 I saw a total of nineteen deer this day, but failed to get anymore shots. Probably, would have missed anyway. The weather was single digit with windy conditions. In fact the temperature only reached about 11 degrees for a high. 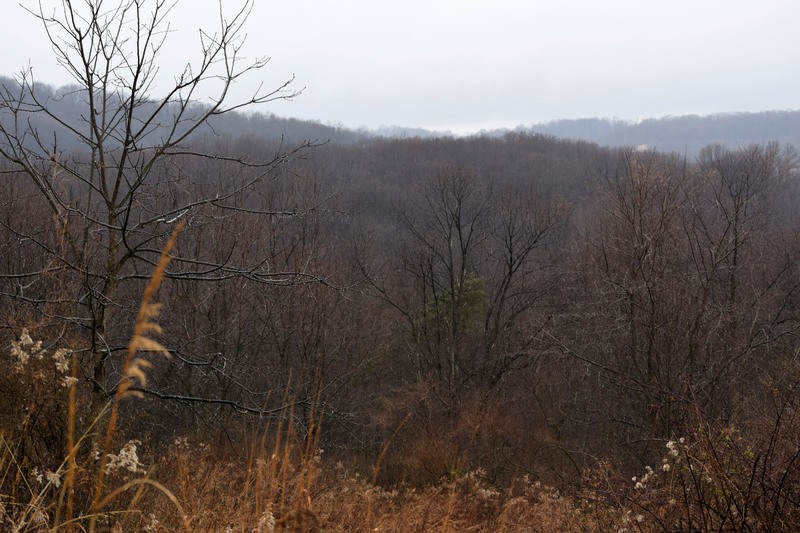 This is not weather for setting on a stand for much time so I walked the entire time afield. Not bad for an old feller! 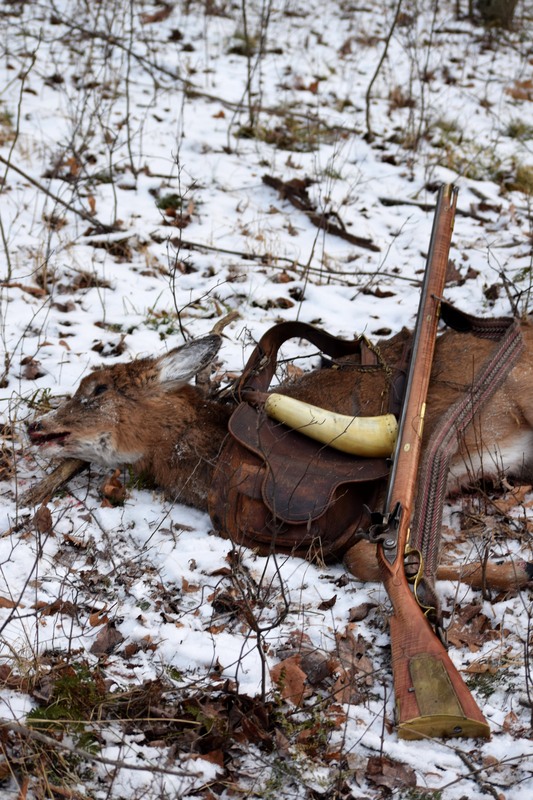 This morning, December 28, finds me committed in the morning and evening so I decided to not hunt since my time afield wouldn’t be many hours. Mid-December the family were planning a trip to see the lights at Olgebay near Wheeling, west Virginia. I had a van in place for pick up, but cancelled the trip and van upon hearing of snow building up that very evening. I couldn’t take a chance to travel in potential conditions. However, the following day had about six or seven inches of pure snow. the roads weren’t bad later on and I decided to go for a hike and take some photos. 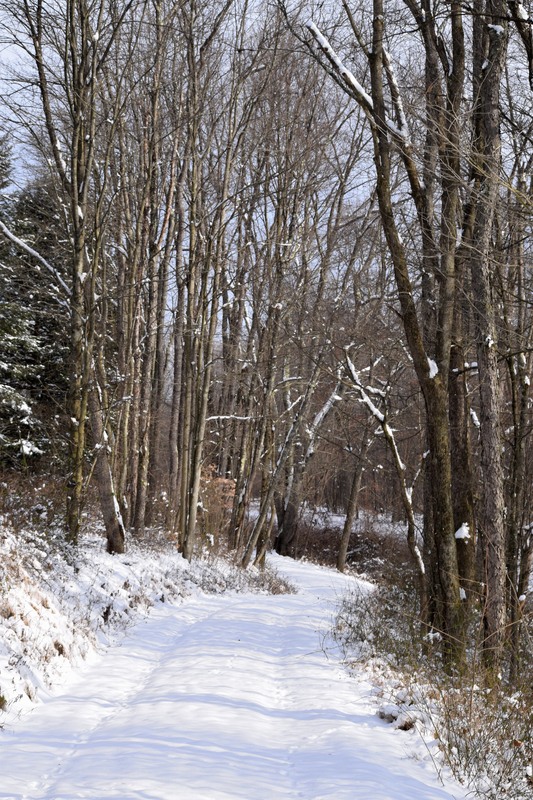 The woodlands were quite beautiful as the snow held close to limbs and tree bark. Deer tracks were quite numerous as I walked along. I saw four throughout the jaunt. 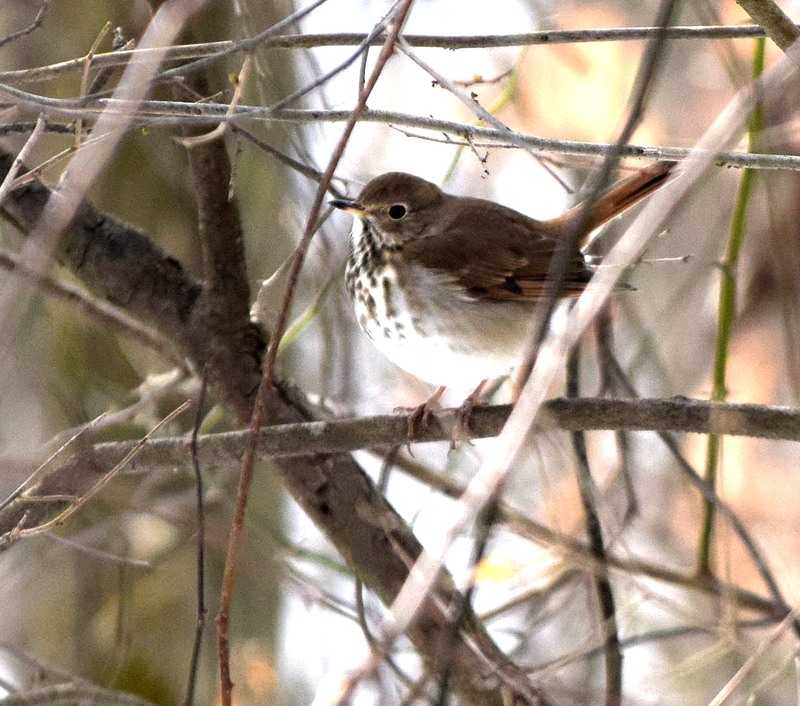 I managed to get a photo of, what I believe to be, a Hermit Thrush. I always see and hear these birds in the spring and seeing one didn’t quite seem right for mid-December. I left the house on December 22 on a rainy and gloomy day. The rain was light initially, but later became more moderate. I went to a local game lands and was surprised at the amount of vehicles at all parking places. the Pennsylvania game Commission must have stocked pheasants and the word was out. I went to one parking place and pulled in. I was alone for now. My hike would only be a couple of miles as I began hearing human activity over the side of a hill. I elected to pull out and allow the hunters all space. 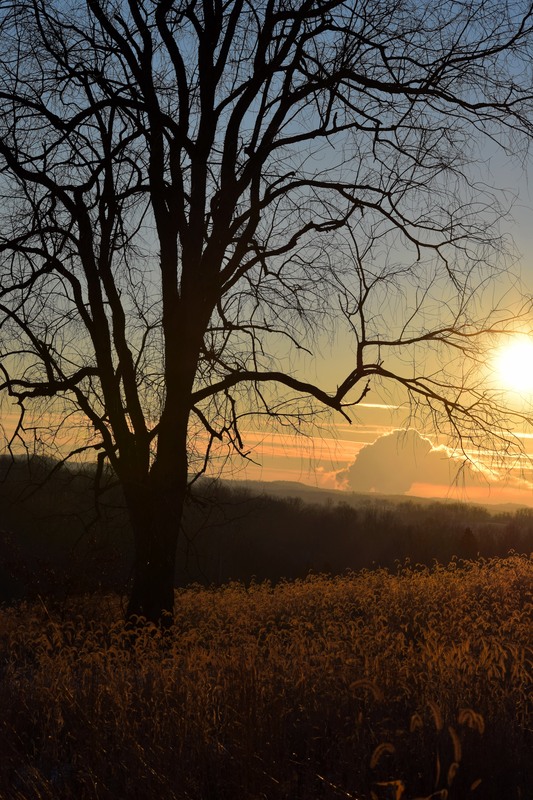 Recently I ventured out for some walking and picture taking. I went to Crooked Creek to hike. I walked a trail and eventually visited the dam area to see what I could see. I lucked out for the Bald Eagles were active. 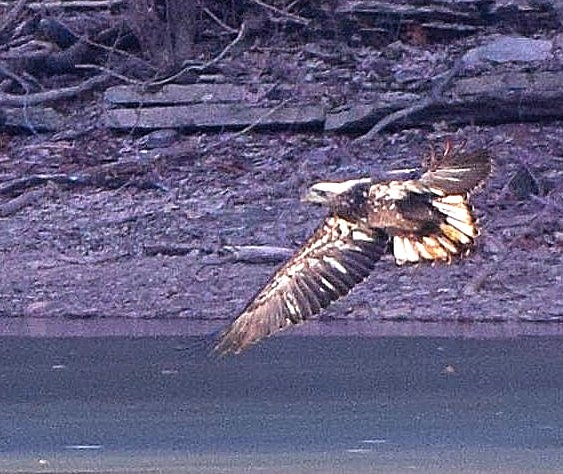 I watched a mature Bald eagle perched high in a tree and later watched the beautiful bird fly about. Unfortunately, I couldn’t get any good pics for the white-headed bird always seemed to stay high enough to make good photos out of the question. sometimes joust playfully. remember we are in the courtship phase of the eagles. 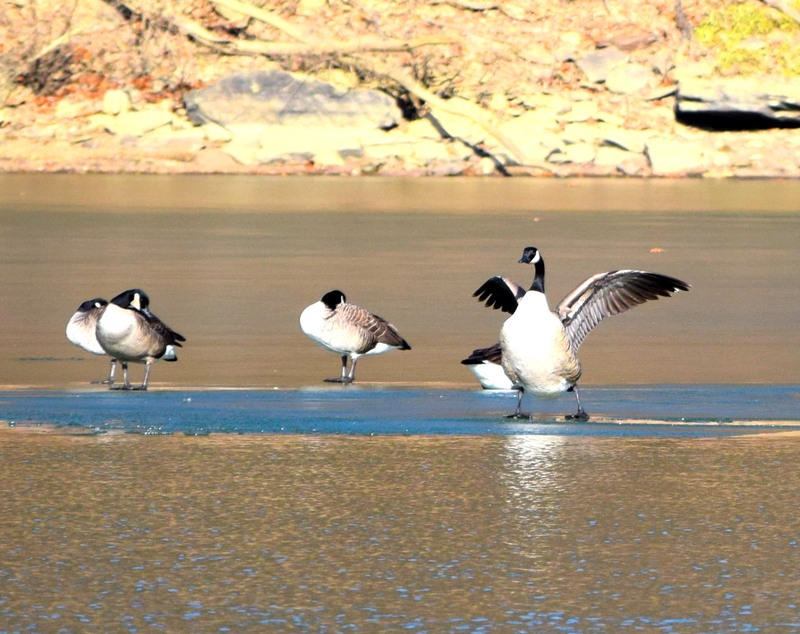 Other sightings included lots of Canada Geese. I could see mergansers on the water, too. Unfortunately for me, I wasn’t prepared for the windy conditions so my setting quietly, watching and waiting for photos, could last for about ten minutes before walking was required to get the blood moving again. I would see a few deer this day as well. 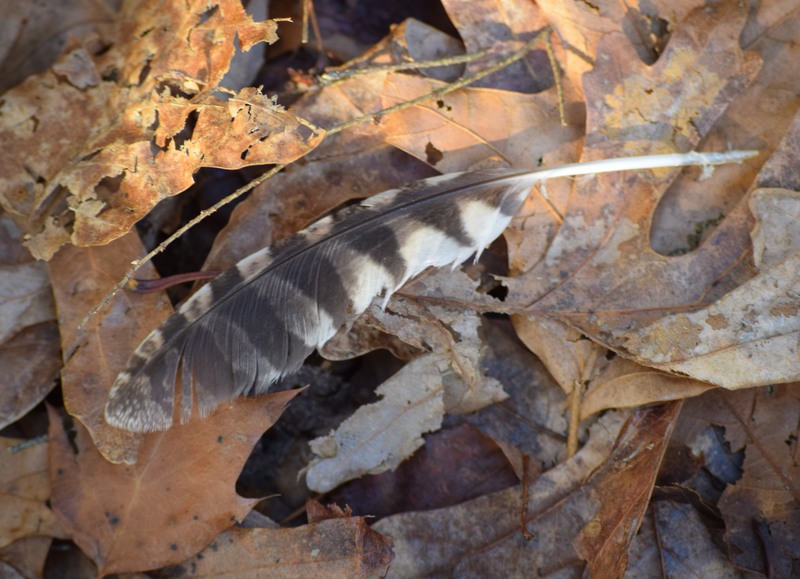 I spotted a Screech owl feather on the leaves. Searching about many other feathers could be found covering thirty or so feet. I couldn’t help wondering what had happed to the little gray-phased owl. Jesus was born in Bethlehem of Judea during the reign of King Herod. Men, some-times called Magi, from the east came to Jerusalem seeking information on a new King of the Jews. They, added, they had seen “HIS STAR” in the east and came to worship him. (Nowhere in scripture does it state there were three wise men. All we can know there were, at least, two men because of the plurality in scripture. Of course, they would have had their servants along with supplies needed to travel. They were not “kings” as per common Christian songs, but rather learned and educated men, possibly, in a study of the heavenly stars and various religious cultures. This study of stars is astronomy. They may have been priests of Zoroaster from eastern lands near Persia which is present-day Iran or Iraq. They were, most likely Gentiles, but they could have been Jews since many Jews had lived in these areas. Remember, the Jews had been carried off hundreds of years ago. Some remained in these countries to live their lives. Personally, I lean towards these men being Gentiles and practiced the ancient religion of Persia known as Zoroaster. Somehow they knew of the promise of a Messiah to the Jews. Did an angel of the Lord appear to them with words of this coming King? Did they see this from dreams? Were they to arrive in Bethlehem representing the Gentiles?) The story of the “wise men” is in Matthew 2: 1-12. Jesus’ parents would have had him circumcised after eight days. (Luke 2:21) Since the travel would take time to get back to Nazareth and Mary would need to gain some strength, Jesus would have been circumcised by priests in Bethlehem. According to Jewish law Mary would be required to go through the “Rite of Purification” This rite is found in Leviticus 12: 1-8. This purification for having a male child lasts 40 days. These facts indicate Jesus was, probably, born in early 4.B.C. shortly before Herod’s death. A 5 B.C. date could only work if the birth was very later into that year as in March 30 or the last day of the year 3757. Some claim the birth was 2 or 3 B.C. as the year of Christ’s birth. I can’t see how considering Herod’s death of 4 B.C. By adding these known dates, I believe quickly after the eight days since the birth of Christ Joseph and Mary headed to Egypt. Herod ordered all male babies of Bethlehem murdered. Herod died shortly thereafter and the family returned from Egypt, at the proper time to Jerusalem, to make an offering for Mary’s purification completion. (Luke 2: 22) At this time, while in Jerusalem, scripture states of a man named, Simeon who realized the baby was the Messiah. Upon completion of the circumcision, the escape to Egypt, the return to Jerusalem for the purification rite to be fulfilled as per Jewish law, the family returned to Nazareth. It seems apparent that the family left quickly after the circumcision to Egypt and once Herod died they returned to Jerusalem. Although, many of the traditional ideas of the Christmas season do not fit into the reality of those times, it is important to realize his birth is what truly is important. The world would have a Savior and an opportunity to see salvation if they believe. Jesus died for their sins, was buried and rose from the grave. The prophetic time was right for the King of the Gentile-controlled nation of Israel. Mary was approached by the angel Gabriel to announce she would give birth of the Messiah. Daniel’s 490 year prophecy dictated when the birth would need to be. Joseph was told the same information through a dream and they married. The STAR has, probably, had already been in the heavenly nights with only a few understanding the significance of the appearing. Joseph and Mary began the trek to their hometown of Bethlehem as commanded by law for a census. Mary gave birth while in Bethlehem. This fulfilled prophecy. Shepherds came that night due to the appearance of a heavenly host of angels with an announcement of the birth of a Savior. The Magi show up sometime around the eight day law pertaining to circumcision. The Star led them to the house where the baby was now living. Joseph, via a dream, learned of Jesus’ peril and immediately moved the family to Egypt after the Magi had left. Herod placed an order for all males of Bethlehem two years old, and younger, to be murdered. Herod died shortly after and Joseph traveled to Jerusalem to complete the forty day Purification Law of the Jews for Mary’s birth of a male child. The notes here of 7 and 8 above would require all of these events to fall within a forty day time periods. This would include the birth of Jesus; the eight day until circumcision; the wise men visiting; Joseph’s dream to go to Egypt; Herod’s death, the travel to Jerusalem to complete the offering and forty day time of Mary’s purification. That is a lot happening in a short time. The family moved back to Nazareth to await the ministry of Christ at thirty years of age.